When we say we offer a hassle free local mobile towbar fitting service we mean it. How many of us have to take a morning or afternoon off work to wait at home for a plumber or electrician? Well we’re pretty sure here at Kits-n-Bits that you don’t want to have to miss any work because you want to get a towbar fitted. Who wants to hang around a draughty garage waiting for a 3-4 hour towbar fitting? That’s why we introduced our mobile service. Our engineers, Dave, Kursh, Nick, Matthew and Mike are fully qualified and highly experienced. They are always on the road throughout South Wales, and they will come to you. Whether you are at work or at home, you won’t have to interrupt your day. We have found after years in the industry, that our customers want fast, efficient, friendly service. They appreciate flexibility and communication. We always ask for customer feedback so that we can keep our service in line with what our customers want. On Site – How does it work? 1. A customer calls us for a quote. At this point we can advise on towbar type and towing electrics options and help make an informed choice. We know not everyone knows the ins and outs of towing, that’s why we are here to help. We always ask a postcode at this point, we cover most of South Wales: Newport, Cardiff, RCT, Bridgend, Port Talbot, Swansea, Neath and further afield. 2. When we book in the job we will discuss logistics. If our engineer is coming to a place of work we always request full instructions on how to enter the site and collect the car keys. 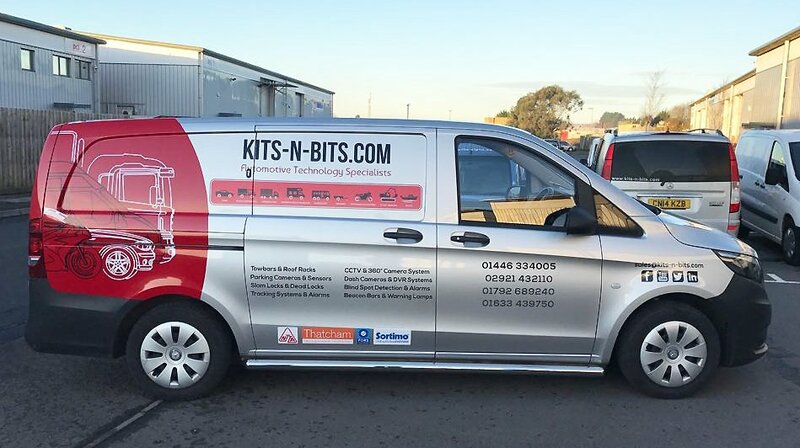 Our engineers all drive Kits-n-Bits vans, wear our smart company uniform and are excellent with customer service, our no.1 priority. 3. After the job our engineer will return the keys and will check over the vehicle with the customer before he leaves. Our qualified engineers are all local to South Wales. They know the area, they know what matters to our customers. They all are employed by Kits-n-Bits, a family business based in Barry and trading for 15 years. We don’t ever sub- contract out our work. When you call us you’ll probably speak to Rick in our office not a call centre in Scotland. We always do our very best, but honestly once in a blue moon, something doesn’t go to plan, but a local service means a local service. Being just down the road, we can get to you quickly should there be any unforeseen issue with your towbar or electics. Consider a big faceless national franchise and compare it to an exceptional local service. We know what we’d choose.